A growing number of Texans are seeking treatment for methamphetamine addiction, reversing a downward trend in abuse in the state since a 2006 federal law banned over-the-counter sales of medicine containing pseudoephedrine. Maxwell said the numbers for the drug’s abuse in Texas are higher than ever before. South Texas, an area that was traditionally heroin country, is reporting more methamphetamine use on the streets, she said. The increase in Texans seeking substance abuse treatment may in part be because more methamphetamine is being imported from Mexico and what’s coming in is more potent, Maxwell said. When the 2006 federal law went into effect, users got off the drug because there was less available. Now, many who liked methamphetamine before are going back to it, she said. Methamphetamine is also cheap, said Mason Chambers, an admissions specialist at the Council on Recovery, a drug treatment program in Austin. Chambers said he has noticed an upward trend in people coming in for meth treatment, noting that the drug also seems to be in the spotlight, receiving attention on television and in popular culture. Jack Feinberg, the Texas vice president of the Phoenix House, a substance abuse treatment program that operates centers for youths in Austin, Dallas and Houston, said more children are coming in for methamphetamine treatment in the last month. “If the kids are getting it, that means it’s available on the streets and it’s not very expensive,” Feinberg said. There is some evidence that treatment programs are working. Tyelur Watkins, 18, sought treatment for methamphetamine and heroin addiction last year at the Phoenix House in Austin. Watkins was introduced to methamphetamine through a friend at age 16, he said in a phone interview. Watkins, who was regularly smoking marijuana at that time, said he wanted to get high one day but his friend only had methamphetamine. He decided to try it and was hooked. Even without a car, Watkins said he and his older friends didn’t have trouble buying the drug. Recovering addict Brandi Townsend, 34, said she started using methamphetamine at age 13 after being introduced to the drug by a close relative. In Austin, Townsend said, the drug was everywhere. 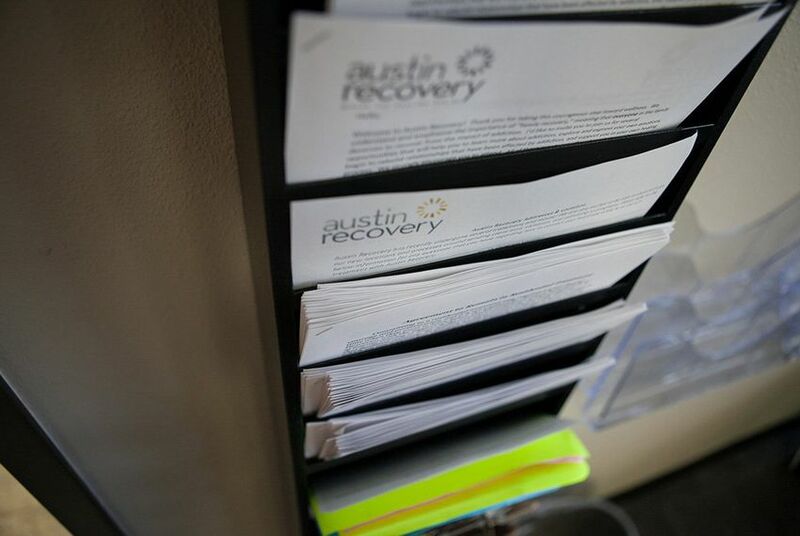 Now Townsend has been off methamphetamine for over 17 months after going through treatment at the Council on Recovery in Austin. Maxwell said the recent popularity of methamphetamine in Texas has to do with where the drug is coming from. Much of it used to flow into the state from California. Now it’s being brought into the country from Mexico. The Combat Methamphetamine Epidemic Act, enacted as part of the U.S. Patriot Act in 2006, aimed to interrupt what experts refer to as the cottage industry of methamphetamine production. Cold medicines like Sudafed that contained ingredients used to make meth were moved behind the counter at pharmacies as a result. When pseudoephedrine, a main ingredient in meth, was readily available, people could easily make the drug at home. Joseph Moses, a spokesman and special agent with the Drug Enforcement Administration, said that while there has always been some methamphetamine coming into the country from Mexico, the problem has been growing. Since the pseudoephedrine ban, people could no longer buy out medicine cabinets’ worth of the drug to make it in bulk. But methamphetamine is still around. “It didn’t end the problem,” Moses said in a phone interview. Nationally, methamphetamine use hasn’t changed much, according to Dr. Peter Delany, director for the Center for Behavioral Health Statistics and Quality at the Substance Abuse and Mental Health Services Administration in Washington. The drug does ebb and flow in different states at times, though, Delany said. “From a national standpoint methamphetamine remains a drug that is being used at a level that raises public health concerns,” Delany said. Maxwell said her research in Austin is showing the reach of methamphetamine is growing outside of Texas and moving east of the Mississippi to cities like Atlanta. Data from the Treatment Episode Survey shows a consistently rising number of people seeking treatment in Georgia for amphetamine and methamphetamine. More than 4,000 Georgians sought treatment for the drug 2014, up 407 from the previous year and 1,143 more than in 2012.